Discount available! 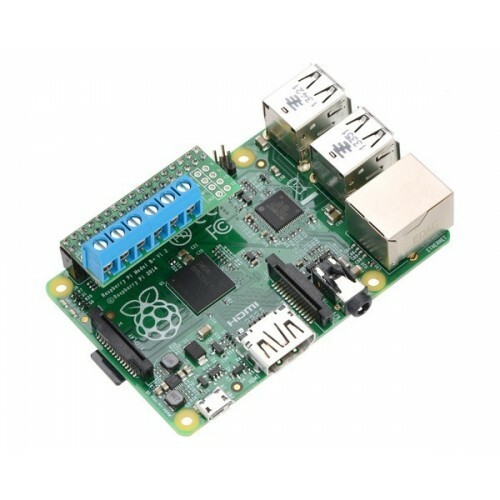 Recommend Dual Motor Driver for Raspberry Pi to your friends and get your Discount. 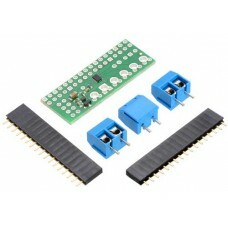 Designed to work in conjunction with Raspberry Pi B+, Pi A+, Pi 2, or Pi 3, this small drivers, based on the chip DRV8835 of Texas Instruments, it is able to control two DC motors in a bidirectional manner or a step motor. The board can deliver a continuous 1.2 A (1.5 A peak) per motor, or a continuous 2.4 A (3 A peak) to a single motor when configured with both channels connected in parallel. It has protection against reverse polarity. For the control of the driver are used pins 5, 6, 12 and 13 of Raspberry Pi. 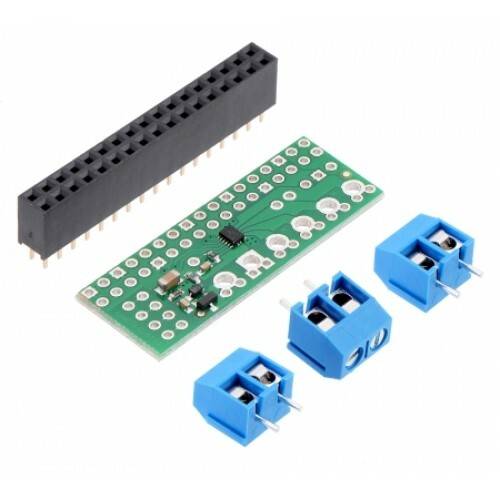 The board ships fully populated with its SMD components, including the DRV8835 driver and a FET for reverse battery protection; header pins for interfacing with a Raspberry Pi and terminal blocks for connecting motors and power are included but are not soldered in.